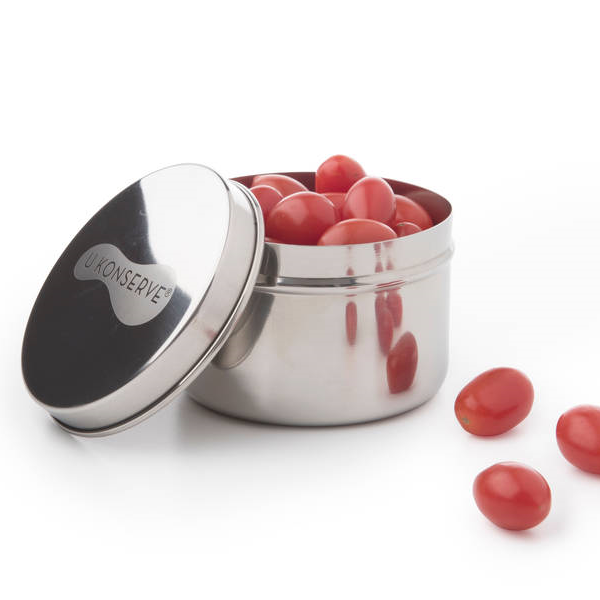 The Kids Konserve Stainless Mini Food Containers are a fabulous and super useful addition to your stainless steel food storage collection. 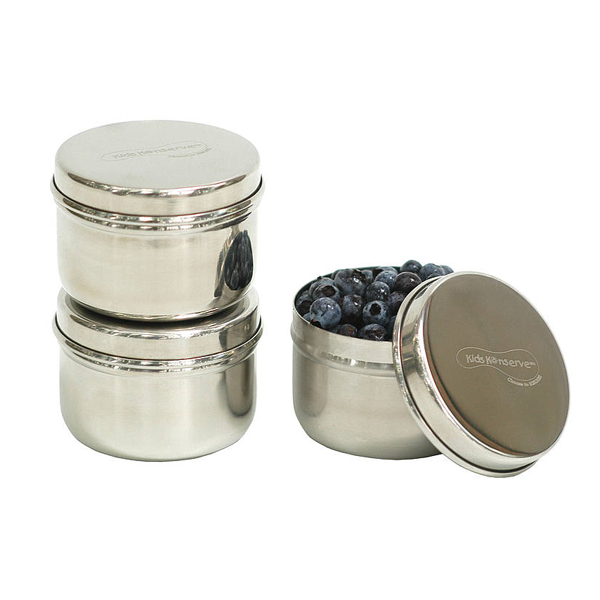 Use them for nuts and seeds, raisins, berries, houmous and dips. These are not leakproof so they're perfect for slightly solid consistency and other dry goods and you can also use them for snacks in the car or on public transport. 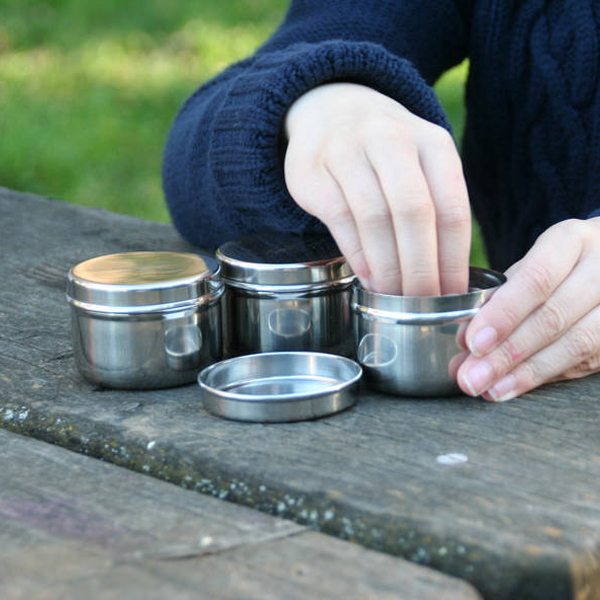 The Kids Konserve range of stainless steel containers are BPA free as well as free from PVC, phthalates and lead. 5.7cm diameter x 4.5cm tall. Presented in a brown card box. Free of BPA, phthalates, PVC and lead. Good quality but very small so not sure what i (my kids) will use these for. Had hoped they would go in the lunch boxes but not sure what i could fit inside perhaps a few small power balls or some berries. Love these! They’re the perfect size for putting fruit snacks in for my little ones! They love them and always ask for their fruit in them when we go out. Excited to keep making the change from plastic! Had difficulty at first opening these pots, but realised I was trying to unscrew them rather than just pull them off! 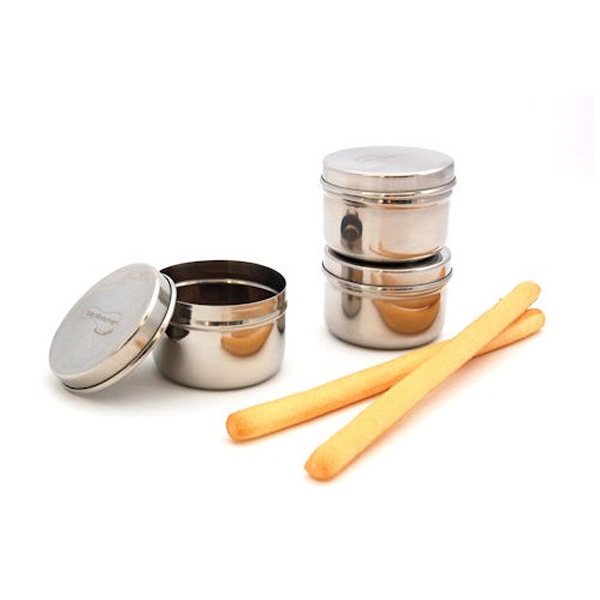 Good quality and just what I needed to avoid using plastic pots for small snacks when on the move.